I got this bottle of Two Hands Angel’s Share Shiraz 2008 back in April, which you can read about here, and tonight is the night I’m going to drink the Angel’s Share. What is the angel’s share, and why am I drinking it tonight? The angel’s share is the portion of wine that evaporates from the barrel during fermintation. It’s the portion of wine that goes straight to the angels. It’s for them and them only, but perhaps they save it for us, so they can drink it with us when we get to heaven. – Joseph Mills. “Some Questions about the Drinking Habits of Angels.” Angels, Thieves, and Winemakers. Winston-Salem, NC: Press 53, 2008. So why am I drinking it tonight? Because I wonder about these angels. I wonder about god. I wonder about the universe. But mainly because my newest collection of poems, Poems for an Empty Church (Palettes & Quills) is going to the printer in a day or two. 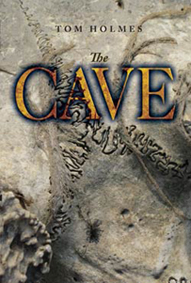 Click the cover to see it better and read some blurbs. 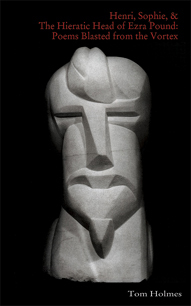 It’s my newest because it will the newest collection published, but my other collection, Henri, Sophie, & The Hieratic Head of Ezra Pound: Poems Blasted from the Vortex has newer poems. Poems for an Empty Church was completed in 2007ish, but it began in 1989ish, maybe 1988. 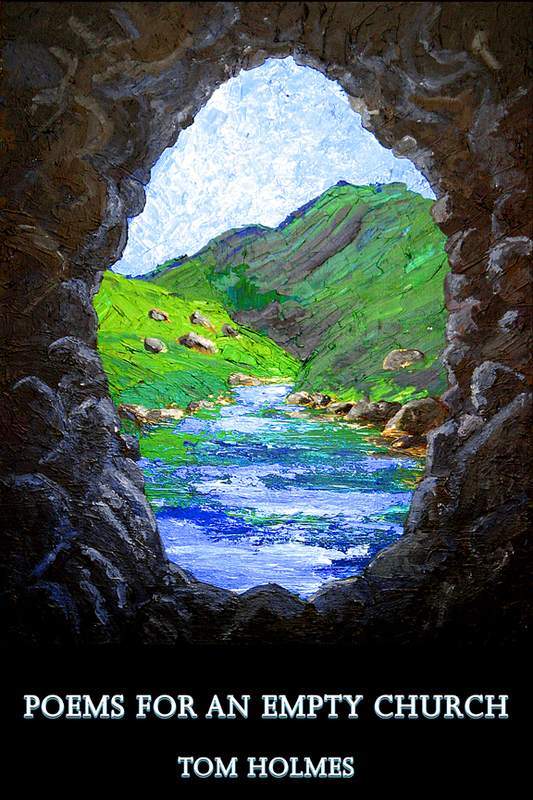 There’s one poem in there, “The Three Voices of Creation,” that took 17 years to write, and if you count some edits I made to it the other day, then it took 22 or 23 years to write. (You can read it here: pages 40-42.) That also may have been the first poem I read aloud to a crowd. I read it at the Autumn Cafe, a wonderful little restaurant in Oneonta. I went to the restaurant by myself. (I didn’t really know any poets then. I didn’t even really know if I was one.) I signed up. I read it. I read it well. An older couple loved it. They said they hadn’t heard anything like that in years. I was too shy and nervous to respond well. Now that I think about it, I may have only read the first section. The other two sections may not have been written yet. One version of this poem was also turned into a play. Actually, I tried on two different occasions to make it play. The second time I did it I forgot about the first time I tried to make it a play. I’m just remembering this now. “There are some places you can’t find God” is the concluding poem to the book.) Anyway, Donna eventually, after releasing Michael’s book and reading my book, said she would like to publish my book but I had to do the layout and design. Cool by me. I can make the book perfect and exactly like I want it. Who’s going to respect how my poems should appear on a page more than me? No one. I think I’m awesome at laying out a book of poems. 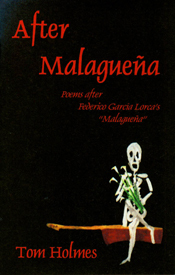 When you layout a book of poems, you need a poet to do it. No one else can get it. I love layout and design, and I’m happy I got to layout my book. So after Donna finishes editing the book, it’s good to go. There’s hardly anything to find. 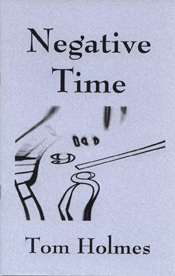 I’ve been working on this for years, editors at other journals have seen the poems, my girlfriend gave it a good read, I gave it another good read. In fact, when I read it again, for the first time in about two or three years since I last looked at it, I realized how tight this book is. How poems from across the book talk to each other. How ideas travel through the book, and images, too. Objectively, it’s a pretty solid book. It surprised me. I was engaged. I think you’ll like it to. When it comes out in September, I’ll let you know. It will be on sale on Amazon, Lift Bridge Books, and other book stores. Enough of that. I could go on for quite some time about this book. 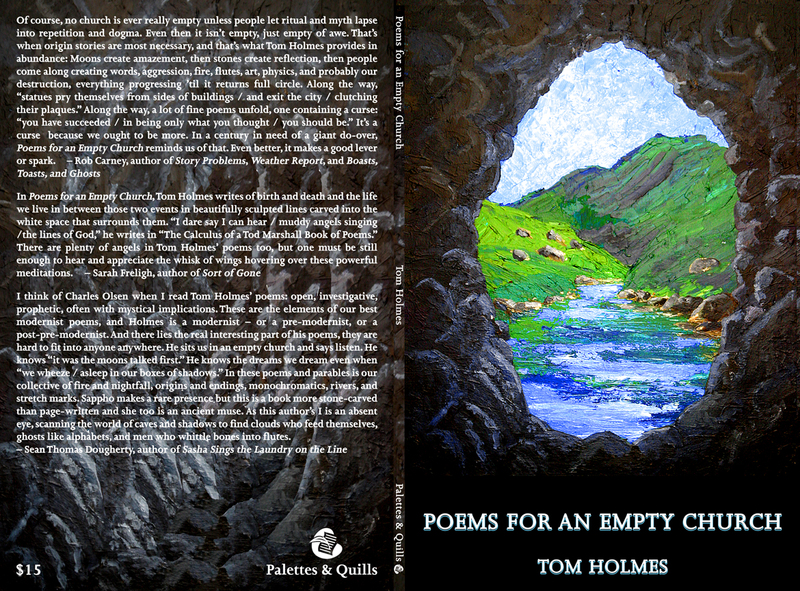 Needless to say, if you believe in God or don’t believe in god, if you have a religion or need a religion, if you’re empty or spiritually full, Poems for an Empty Church will speak to you and help you experience the Other. To the wine. This is not the one that is number two on The Wine Spectator Top 100 Wines of 2010, which I’ve had and is delicious. I suspect this won’t be as good, but that it will be good. However, the Wine Spectator gave this one 86 points, which doesn’t make this seem promising, but it better be since I spend $30 or so on it. This is a dark, dark maroon colored wine. The nose is meaty, smoky, thick, and with mushrooms. I want to eat it. My girlfriend picks up the spices from Shake N Bake. I haven’t had Shake N Bake since the early 80s, so I don’t know what those spices are. Wow that was weird. It was almost fizzy for a second. It doesn’t taste as it smells or as good, but it’s big and tasty. It’s juicy on the front of the mouth and shortly after the finish. The finish is also of grapes. Like grape jam. It’s jammy. I also pick up some chocolate and plums. And I also get hints of spice, especially on the finish. My girlfriend picks up chicken and cranberry and says it is thick on the finish – it coats the back of the throat. I asked my girlfriend how much she’d pay for a bottle of this, as she didn’t know the actual price, and she said, “$8. It’s not that extraordinary.” She’s right. It’s not extraordinary, but I’d pay $15 for this, but not $30 again. This will go good with pasta, chicken, pizza, and steak and hamburgers and a peanut butter jelly sandwich. I know some of you wine drinkers are counting calories or watching your weight, and you are probably wondering how many calories are in a glass of wine. As a result, I have been doing some research to determine how many calories are in a glass of wine. The calories vary by varietal, but they all have a similar number of calories. Below is a chart I made for the most common varietals, or the ones I drink most. One: I broke this down by ounces, glass, and bottle. A bottle is 750 milliliters or 25.36 ounces, and a bottle is supposed to hold four glasses of wine plus a little more. (There are 1.36 ounces more, which, I have been told, have absolutely no calories!) So that is why there is a 6 oz column, because that’s a glass of wine. If you pour smaller or larger amounts in your glass, then you can multiply the 1 oz column by how many ounces you poured. Two: Calories will also vary by vineyard. So the Hall Cabernet Sauvignon 2006 may have a more or fewer calories than the Columbia Crest Cabernet Grand Estates Sauvignon 2007. Here’s the chart. It doesn’t include Tempranillo, but I assume they will be like a Granacha. If you want a printable version, click How Many Calories Are in a Glass of Wine? It’s been sometime since I’ve done an official tasting post, but here we go. Nah. 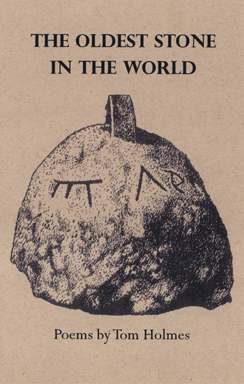 First I want to mention this new journal edited by Laura McCullough – Mead: The Magazine of Literature and Libations. This is such a fun a unique idea, and the first issue is strong with these wonderful writers: Stephen Dunn, Richard Garcia, Steven Huff, Bob Hicok, Thom Ward, Ravi Shankar, and Derek Pollard (the latter two will also appear in the next issue of Redactions: Poetry & Poetics, due out in June). So if you like this blog, you will surely enjoy Mead. Or if you just like literature or libations, you’ll still enjoy Mead. The color is dark. A dark purple. It looks thick (if a wine can look thick). It doesn’t smell that special, but it has plums and leather. I think I also get some white pepper, cherries, and vanilla. So this Shiraz has some of the typical traits, and then some. It’s dry and jammy. My girlfriend said it tasted like a peanut butter and jelly sandwich, but I think it just has the texture of a peanut butter and jelly sandwich. I like the juicy finish. Juicy, berry finish followed by a dry slide. The finish is actually chewy, or like something you want to take a bite out of. The finish returns as a tart ghost to haunt the mouth. There is nothing extraordinary about his wine, but it is good. I said in my last tasting that I wasn’t going to use the 100-point scale anymore. I forget my reasons, but now I think about the specificity of the numbers. I can tell the difference between 87, 88, 89, and 90, but before and after I can’t. 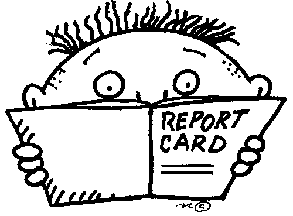 So I want to use what I used for about 27 years of my life – a report card. To me, anything below an 87 is an F, and anything above a 90 is an A. The Hall Cabernet Sauvignon 2006 is an A+. Besides, why be so exact. A wine isn’t exact, plus I like grades. There is wiggle room within a grade. So let’s give this wine a grade. Let’s give it a B. A B to me means its better than ordinary. It’s put in a good effort, but more can be expected. It could improve. It also means it’s worth its price of about $12. What’s keeping it from meeting a B+ or an A? It’s not meeting the full expectations of what I think a Shiraz should taste like. It has the notes, sure, but it’s not playing the Shiraz melody with feeling. Last year, The Stump Jump’s Shiraz made The Wine Specatator’s Top 100 list and received 90 points. I liked that wine quite a bit, especially with the $10 price tag. It was also quite versatile as it went with so many foods. This The Stump Jump makes The Wine Spectator’s Top 100 again. This time in spot #63 and again receiving 90 points. But this time it’s the Red – a blend of Grenache, Grenache, and Mourvedre. Bonus: it’s dollar less expensive. By the way, I should more properly call this d’Arenberg The Stump Jump Red 2008. 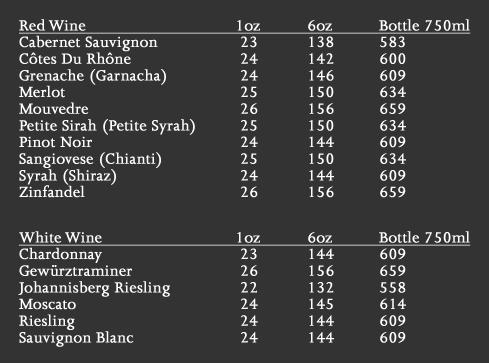 You can view the whole top 100 list here: The Wine Spectator Top 100 2010. Anyway, I’m excited by this blend of grapes. I’m all giddy. So let’s get to it. The first thing I noticed when I poured it is that it’s thin. It shouldn’t be this translucent. Okay. I still have faith. What a pleasant nose. It smells giddy. I get some cherries, plums, and some sort of underground vegetable. It smells of Mourvedre, but an odd one – a little off. It’s quite thin and bitter. This isn’t good. How the hell did The Wine Spectator give it 90 points and make it the #63 wine of 2010. No way. A sour, vegetable, and cranberry finish. The finish is the worse part. Giddiness all gone. Replaced by wincing face. Lame. 86 points. At last. The day has finally arrived. No it’s not Xmas Eve. It’s the day of . 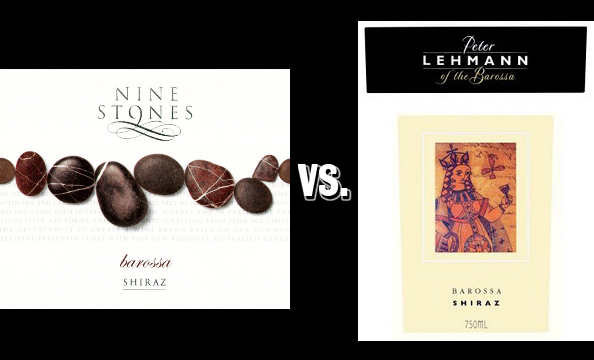 . .
Tonight’s battle will be between Nine Stones Barossa Shiraz 2008 and Peter Lehmann of the Barossa Shiraz 2006. What can we expect from this battle. Well, the other day we saw the first appearance of Nine Stones and it displayed some major tastiness. I loved it. You can read about it here. Peter Lehman should be a worthy competitor. I have not tasted this wine in some time, and maybe never vintage. All I remember is that it was big. So let’s get to it, but first some introductions. 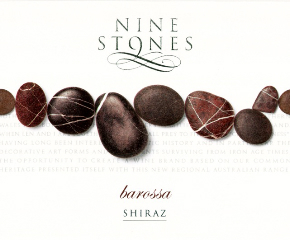 Coming in with a screw top cap and at $11 on sale at Mahan’s is the Nine Stones Barossa Shiraz. It has received ratings as low as 92 from Wine Spectator and as high as 94 from the Wine Enthusiast. And in this corner with a screw top and at $12 on sale at Mahan’s is the Peter Lehmann of the Barossa Shiraz 2006. The Lehmann has received ratings as low as 89 from James Halliday and as high as 91 from the Wine Spectator, and Wine Spectator said it was a Smart Buy in 2009. Still, Peter Lehmann comes in as the underdog. What makes the battle exciting is that they are both from Barossa, Australia. All right guys. Clink glasses and come out drinking. The glasses of wine come out slowly and present their colors and menisci. The Nine Stones is black cherry in color and 98% opaque and it has a deep meniscus. The Peter Lehmann has a similar color but it’s darker but not much. They are almost identical, but the Lehmann has a taller meniscus. The meniscus is the only way I can tell them apart. Here come the noses. Peter Lehmann leads with a dark, musky nose, but with some sweet plums, or plums and vanilla. And there might be a hint of cola, too, as my girlfriend nose says. As I rapidly go back and forth between the two, they actually share that same earthy, muskiness. Is that the odor of Barossa? I think I like the Lehmann’s nose a bit better, but not much, and only because it’s more floral. There is nothing wrong with either nose. Finally, all that matters – the tasting. Oh the Nine Stone is so yummy. It’s drier than I remember, but it still has the three-part finish: pepper followed by tannins followed by fruit, maybe something like an orange with cloves like a traditional Xmas present (my girlfriend picked up on that). I also pick up raspberries and dark cherries before the finish – you know, in the mouth. And there’s a hint of chocolate. Last time this wine was fruitier and there was more chocolate. Now, the Lehmann. That’s as I remember it – big, dark, and tart. It’s not at all like the nose. The finish is quite bitter. This seems closer to a typical Shiraz in body and size. The Nine Stones isn’t nearly as big and is small for Shiraz. The Lehmann has blueberries up front and there is dark, baker’s chocolate on the finish. How can these wines come from the same valley? I like the Lehmann. If it wasn’t in the Battle of the Shiraz, it would seem good. 89 points good. But in this battle, I’m digging the Nine Stone much, much more. The Lehmann’s is almost too much for me. Maybe it needs some food to tame it. I like the Nine Stones fruitiness much more. It took me a long time to remember where and why I purchased this Nine Stones Barossa Shiraz 2008 from “north of Adelaide in South Australia,” but I figured it out. I picked it up in the Hannaford Farms in Rutland, VT, the day before Thanksgiving. It must have had a note that it received 90 or more points from some place, else I probably wouldn’t have picked it up. I always to try to pick out new wines, especially when I’m out of state, and this one jumped out at me. It doesn’t seem to be jumping right now, but that might change. I hope. Anyway, I did some quick research. It received 94 points from the Wine Enthusiast, 92 points from the Wine Spectator (according to one source) but at the Wine Spectator website HS gave it 89 points, and Stephen Tanzer at the International Wine Cellar gave it 92 points. Hopefully, this Shiraz will give me some energy, because I am neither awake or asleep. I think a ghost is typing this, or at least there’s a ghost in the machine. Wake up! Is everybody in? The ceremony is about to begin. Now that’s a quote from a ghost buried in Paris. This evening’s entertainment will be new with a wine you can barely see through. It’s dark and ruby. I think it will taste rather groovy. It’s nose is alive with dark berries and vanilla. Oh, I think this wine will be a thrilla. There’s quite some more going on with some chocolate and other mocha spawn. Indeed there are cherries, too, along with some juicy fruit. And if my nose is indeed clever, it picks up on some white pepper. Oh, I love this nose. It’s a wine I’m glad I chose. It . . . is . . . frickin . . . delicious. I have to break the rhyme. It’s absolutely amazing. There’s so much going on. Even the finish has three movements: pepper followed by dryness followed by a joyful juciness like smooshed fruit. And it’s clean. And the texture is so smooth and soft. I am in love with this wine. Do I have to drive Rutland, VT, to pick up more of this wine? I’m dying over here. I feel like I’m out berry picking, but really, like all berry picking, I’m eating more berries than picking. In fact, this wine would be great for a picnic after berry picking. Berry pick. Eat some berries, cheese, and bread. Drink this wine. Lie down on a blanket with your lover. Look at the clouds. Fall asleep. Wake up and realized there’s still half a bottle of the Nine Stones Barossa Shiraz 2008 and realize life is damned wonderful – enough to base a movie on. This indeed is the Jim Morrison of wines. 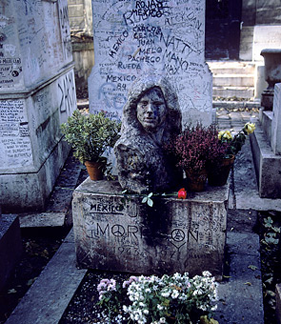 (A younger Jim Morrison.) It’s what Dionysus would drink. It’s a drink of love and vitality. If you want a lively wine, a spirited wine, a playful wine, this is the wine to drink. I’m melting in its flavors. Can you really give a wine like this points? If so, I wanna say at least 92 and maybe 94. Mmmmmmmmmmmmmm. It’s July 4th, and I’m about to go on the roof to watch other towns’ fireworks. That’s right. Other towns’. As in firework displays from multiple towns. Last year at this time, my girlfriend and I were able to witness firework displays from 17 towns except Brockport’s. 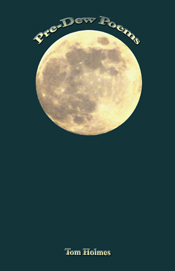 Last night, we watched from the roof and saw Brockport’s and about four other towns. Tonight I expect we will see a dozen and maybe Rochester’s, too, which is celebrating its 175th birthday. So soon I will be on the roof drinking Marquis Philips Sarah’s Blend 2007. I’ve had this before, maybe not the 2007, but I’ve had it, and it was wonderful and juicy. So here’s hoping the country’s and Rochester’s birthday can be celebrated, in part, with a juicy wine. Sarah’s Blend is 62% Shiraz, 25% Cabernet Sauvignon, 10% Merlot, and 3% Cabernet Franc. It’s a strong Cab Franc. It smells fruity and juicy with plums and maybe some vanilla and caramel. It has a slightly sour finish, but that may be the peanuts I just had, which wasn’t a wise move. The body is almost perfect for a juicy wine, but it’s slightly too thin. Nothing at all to complain about, and I like it. The peanut taste is gone now after a few sips. The sourness is gone. There is a little dryness and pepper in the finish. This is a really good wine filled with currants and over ripe plums and dark cherries and a subtle hint of almost ripe strawberries.